Roasting Profile: Medium - this allows the emergence of both roasted and green beans flavours. Origin: Family-owned farms located in the Ngada region of Flores, one of the big islands in the Lesser Sunda archipelago of Indonesia. Coffee plants are grown in volcanic loam at altitudes as high as 1600 metres. Attention to detail is reflected in the ripe cherry selection, raised bed drying, and triple hand-sorting. Notes of pineapple and sandalwood permeate. Processing Method: wet-hulled, handpicked, and dried in the sun. Roasting Profile: Medium Dark - you taste most of roasted flavour (75%) with 25% of greens. 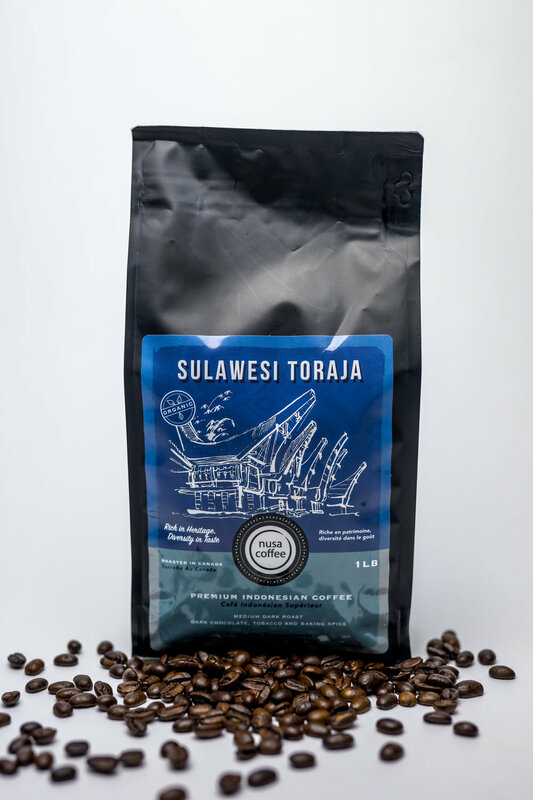 Origin: Toraja Highlands is situated in Central Sulawesi. Above 1400 metre elevation, the coffee plants are shade-grown with cacao, vanilla and other fruit trees were grown in between. The rich nutrients of volcanic soil also enhances the flavour of the beans. Earthy. Smooth. Balanced. Processing Method: full wash - this is the widely accepted method for most coffee drinkers. It is generally smooth and balanced. Origin: Gayo Highlands in Takengon, Central Aceh. 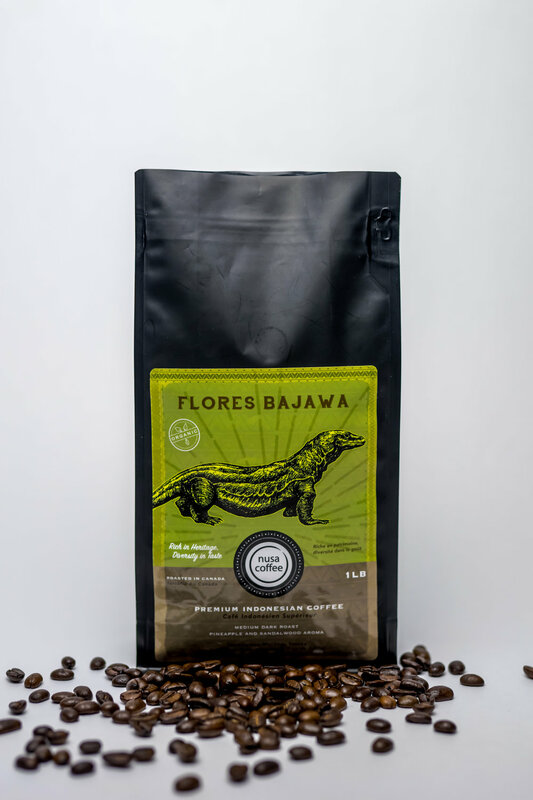 About 1200 metre elevation, shade-grown coffee plants are among avocado, banana, papaya, and other fruit trees that influence the flavour and aroma of this grade 1 specialty coffee. Processing Method: wet-hulled, resulting in some bright, strong flavour from the high-grown area. 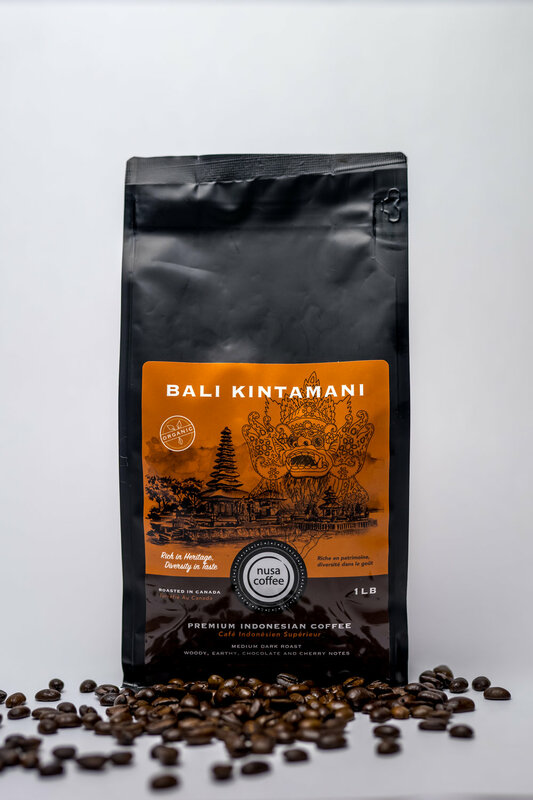 Origin: Kintamani Highlands, Bali. About 122 metre elevation, shade-grown coffee plants are grown in between banana, citrus, and tangerine fruit trees; allowing equal harvest time for the fruits and the cherries which support the livelihood of farmers in this region. Processing Method: full wash - resulting in smooth, balanced, and fruity flavour.